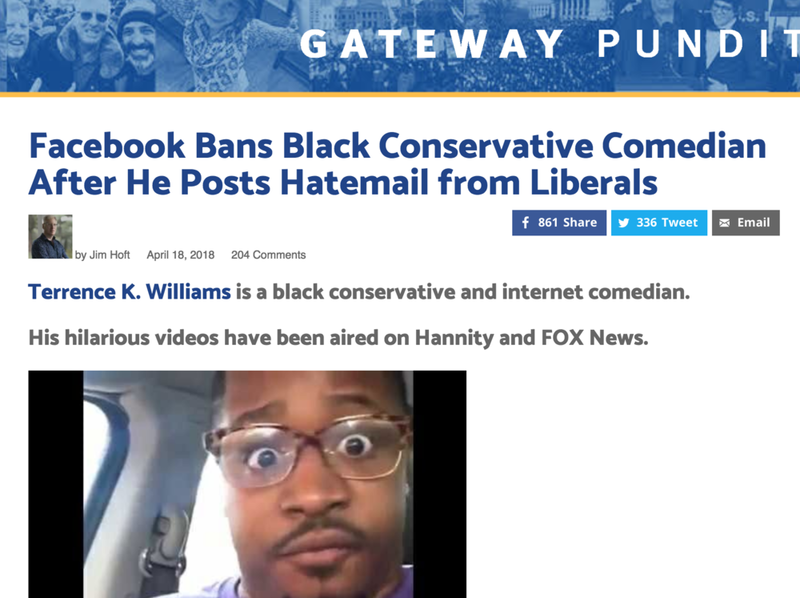 Terrence K. Williams is a black conservative and internet comedian. His hilarious videos have been aired on Hannity and FOX News. Like any conservative who is effective these days Terrence Williams is hated and abused by the American left. Recently Terrence posted some of his recent hate mail on Facebook. Because of this Facebook banned him for 30 days. Apparently, you’re not allowed to complain about the abuse you get from the intolerant left on Facebook.